Jonathan Paul® Fitovers have always been designed with the on-the-go lifestyle in mind., offering a solution to those prescription eyewear users looking for full coverage sun protection. 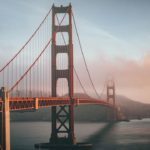 As you might be looking to book some seasonal travel—enjoy the curated list of some of the most scenic & historical places to lay your head after a full day of adventure. On an epic day in the wilderness, Mather’s observation seems a tad dramatic. But after a zero-degree night spent sleeping outside in a decidedly non-zero degree bag, his words ring true. If you’re accustomed to roughing it in the backcountry, a night in a historic hotel within a national park is a splurge-worthy indulgence. Factor in room service, a cocktail lounge with a spectacular view, and the knowledge that the night’s wind/hail storm will be happening on the other side of the window, and the experience becomes downright blissful. 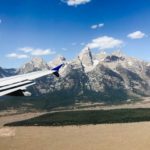 And while these properties might not put you directly in touch with nature in a that-bear-is-right-outside-my-tent kind of way, they do offer proximity to the wilderness and a way to dig into the local history, along with the creature comforts. Here, six recommended national park hotels that will definitely make for a memorable experience—and may make you rethink your sleeping bag. The Inn at Death Valley first opened in 1927 as the Furnace Creek Inn. Built by the Pacific Coast Borax Company, this jewel in the desert served as the turning point for Death Valley’s transition from a barren land of borax mines to a tourist destination. Originally called the Furnace Creek Inn, the hotel was designed by Albert C. Martin, a Los Angeles architect with an eye for honoring the landscape rather than imposing upon it. The hotel was built into a mountainside and outfitted with a mint green and deep rust color scheme inspired by nearby Artist’s Drive. The property opened in 1927 and its elegant dining room, luxurious guest rooms, and sweeping views into the otherworldly landscape attracted Hollywood stars including Bette Davis, Jimmy Stewart, and John Barrymore. In 1939, Clark Gable honeymooned at the Inn’s poolside bungalow with his new bride, Carole Lombard. Today, The Inn retains its glamorous air, offering a respite after a day of desert hiking. If you go, be sure to stroll through a garden of date palms, have a prickly pear margarita on the terrace at sunset, and take a dip in the spring-fed pool. It’s 85 degrees year-round, and its waters come from a natural spring that provides two million gallons of water a day—a desert miracle much like the inn itself. Even if you don’t stay there, the Majestic Yosemite Hotel is worth a visit. 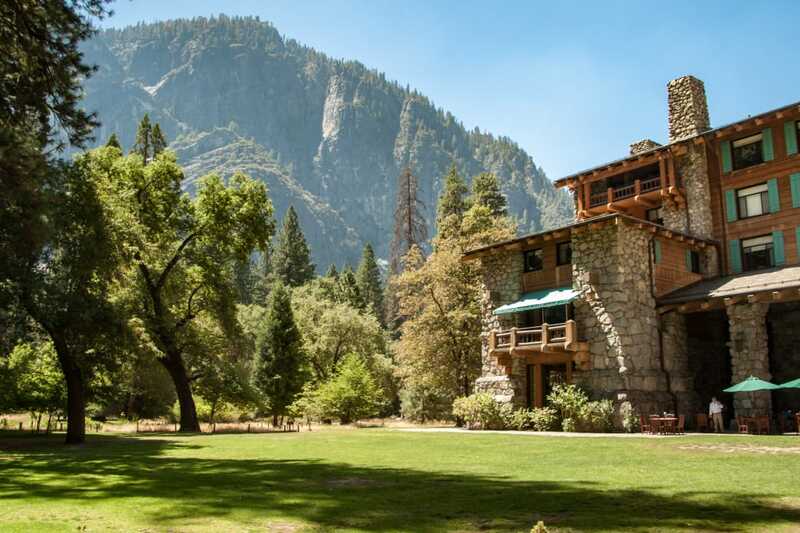 Originally called The Ahwahnee, The Majestic Yosemite Hotel was created to attract wealthy Californians to Yosemite in the hopes that they’d use their fortunes to protect the environment. The hotel was built with steel, concrete, and stone to complement the granite walls of the valley and decorated with a curious mix of Persian rugs, Native American decor, and art-deco designs. The Ahwahnee opened in 1927, but to the dismay of its founders, the wealthy guests didn’t exactly come running. Facing closure, the hotel became a wartime hospital during World War II where patients could recover from the psychological trauma of combat by communing with nature. After the war, it became a hotel again, complete with 123 rooms, a heated outdoor swimming pool, sweet shop, and incredible dining room, with soaring timbers and spectacular views of the nearby rock formations. If you’ve got the money to forgo a night of camping in favor of a luxurious evening at the property, book the Library Suite, which features views of Yosemite Falls, a fireplace, and its own library. If you can’t afford to stay, camp nearby and swing by for a drink. The hotel bar is known to make a mean El Capitini—a speciality cocktail garnished with a carabiner and an orange twist tied into a climber’s knot. You can’t beat the views on offer at the El Tovar. 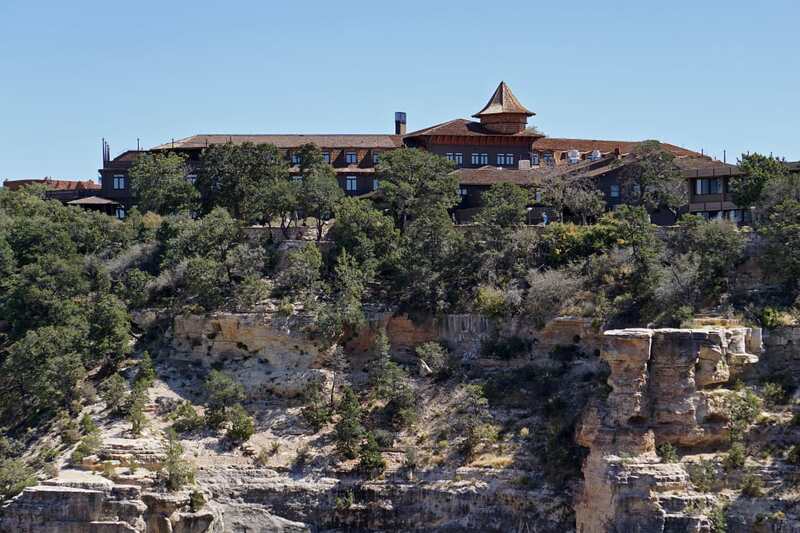 Perched on the South Rim of the Grand Canyon, the El Tovar, designed by Charles Whittlesey, was imagined as part Swiss chalet and part Norwegian villa. The hotel is comprised of 78 rooms, a fine dining restaurant, and a bar with a terrace overlooking the canyon. From its position above the Bright Angel Trail, the pine and limestone structure beckons tired hikers back up to the rim with a promise of lavish meals and comfortable rooms. The El Tovar opened in 1905 and was operated as part of a chain of hotels by the Fred Harvey Company, in conjunction with the Santa Fe Railway. Over the years, the hotel’s famous guests have included Theodore Roosevelt, Albert Einstein, Sir Paul McCartney, and President Bill Clinton. If you splurge on a stay on your next trip to the Grand Canyon, try to book the Zane Grey suite, which features an enviable balcony and Western-themed decor. Take advantage of your trailhead-adjacent location by hiking down into the canyon, and remind yourself of the steak you’ll be ordering at the restaurant when you get back to the top. The grand hotel sits on the shores of Lake Yellowstone. Situated on the shore of Lake Yellowstone—which just so happens to be the largest lake in the country above 7,000 feet—Lake Yellowstone Hotel is the oldest operating hotel in the park. 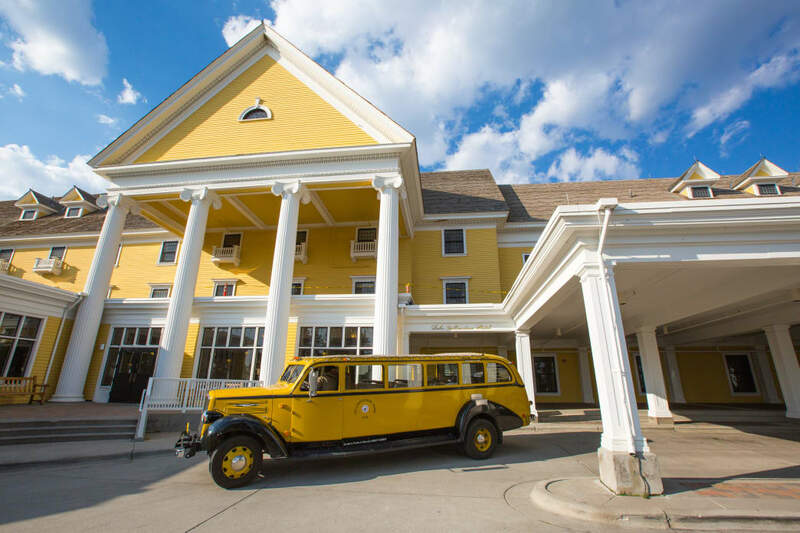 The grand yellow hotel was just a three-story structure when it opened in 1891, but through the years, numerous renovations, including the addition of the iconic 50-foot columns, have transformed it into the place it is today. Lake Yellowstone Hotel closed briefly during World War I, again during the Great Depression, and for a third time during World War II, but if time has taught us anything about historic hotels, it’s a lesson about resilience. These days, Lake Yellowstone Hotel is in high demand. Accommodations include rooms, cabins, and the Presidential Suite, a three-room unit that President Calvin Coolidge once stayed in. Don’t have the cash to vacation like a president? You can still enjoy cocktails and live music in the hotel’s sunroom or have the dining room chef prepare a trout that you caught from the lake. 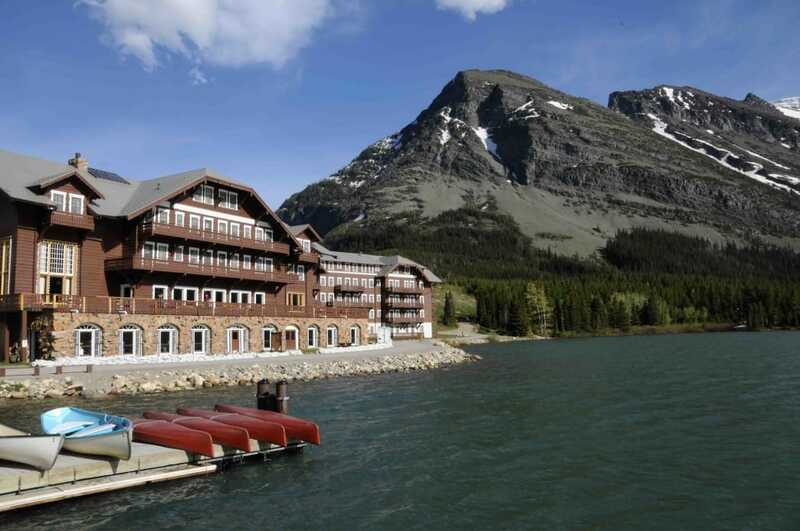 Views from the property include Swiftcurrent Lake and nearby peaks. The Many Glacier Valley is a glacier-carved slice of paradise that makes most other valleys look dull by comparison. From the sparkling water of Swiftcurrent Lake to the perfectly triangular Grinnell Point, this eastern part of the park is proof that Glacier National Park really is a gem of the park system. Soak up its beauty, as well as excellent views of the summits of nearby Mt. Gould and Mt. Wilbur, from Many Glacier Hotel. Built by the Glacier Park Hotel Company, a division of the Great Northern Railway, the property was designed to evoke images of a Swiss chalet. It opened in 1915 and featured employees who doubled as entertainers, an expansive dining room, and the best sunrises in Montana. Twenty-one years later, a massive fire threatened to destroy the 211-room structure, and employees stayed to save it. While the hotel owner’s response to the triumph wasn’t exactly enthusiastic (he literally telegrammed the word “Why?”), we’re certainly glad the hotel survived. If you visit, request a room facing the lake and hit one of the many trails that begin almost from the hotel’s doorway. You can trek to Grinnell Glacier, hike to the appropriately named Iceberg Lake, or climb the switchbacks up Swiftcurrent Pass. At the end of the day, sit back and enjoy a Montana beer (Moose Drool is especially popular) around the glowing fire in the historic lobby. The lodge is the only one in Big Bend National Park. Located about as deep in the heart of Texas as you can go, Chisos Mountains Lodge is the only lodge in Big Bend National Park. The modest stone property got its start thanks to the Civilian Conservation Corps, who built the seven-mile road leading into the Chisos Basin in the 1930’s, along with the six Roosevelt Stone Cottages that you can still stay in today. 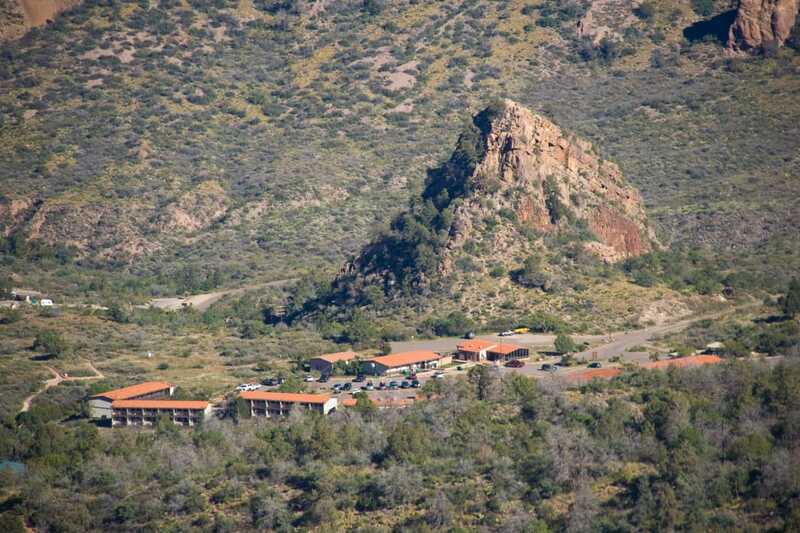 Chisos Mountains Lodge is open year-round and is situated within the Chisos Mountains at an elevation of 5,400 feet, bridging the divide between mountains and desert. 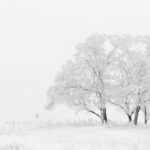 In the nearby wilderness, you’ll see tarantulas, snakes, and cacti, but you might also spot black bears, mountain lions, and occasionally snow. From just outside the lodge, take advantage of a wealth of hiking opportunities, including the trail to the summit of 7,825-foot Emory Peak, the highest mountain in the park. In addition to amenities like a restaurant and convenience store, the 72-room lodge also boasts some of the best stargazing in the country. 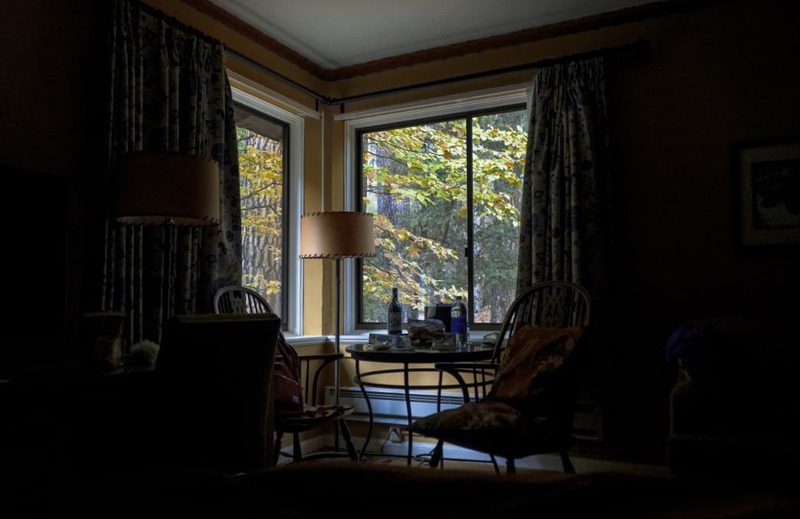 If you plan to go and would like to stay in one of the historic Roosevelt Stone Cabins, book a year in advance (if you can, try to snag the highly coveted Cabin 103, which offers spectacular views and tons of privacy). During your stay, be sure to hit the bar and grab a cocktail made with Hacienda Sotol. It’s the official liquor of the Chihuahuan Desert, and through some sort of desert magic, it always tastes best when consumed there.